A while back, I came across an article about studying the Bible. I borrowed 10 of my favorite thoughts and pasted them below. 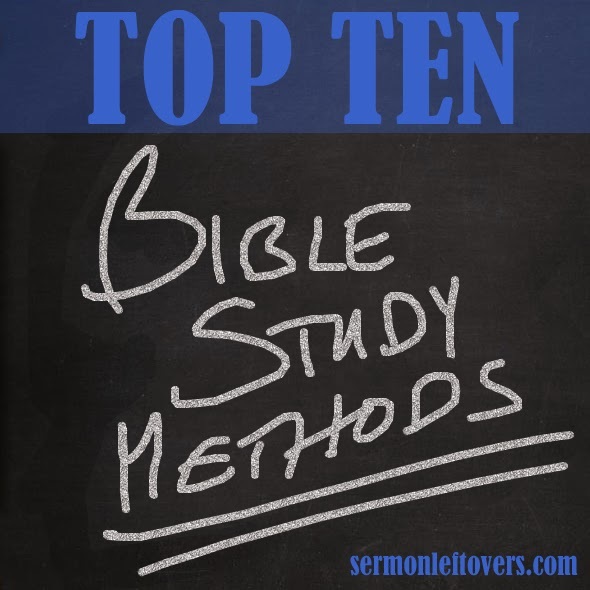 If you want to get better at studying God's Word, here is a starting point! You can read the whole article here. Whether it be the whole of Scripture, an entire book in the Bible, or a given passage, capturing the big picture makes a deeper engagement of the Word more accessible and productive. Discussions about meaning, interpretations, doctrinal substance, and sheer trivia can be a productive means of engaging the Word and driving it more deeply into our hearts. Hand-copying the Word slows the brain down and synchronizes the mind with the meaning of a passage. Bible on one side. Journal on the other. Copying the word is a tremendous way to nourish the spirit and align the mind with the thoughts of God. Take. Eat. Enjoy! Cross-referencing one passage with another related passage can release as much light into the soul as opening into the night the door of a lit room. Use a concordance. Use in-line references found in a study Bible. Use a computer search capability. Good translation can be defined as taking the meaning from one language and capturing it accurately in another language. Paraphrasing is like that, only it is capturing the meaning of a passage and re-expressing that same meaning with different words. The paraphrases don’t have to be of publication quality. Though, if you come to like this type of exercise, you might be surprised by some of what you write and want to share it with others. For the right-brain artistic types among us, sketching the Word is something that is second nature. But even for those of us who do better with straight lines and right angles, sketching the Word can be a rich experience capturing the big idea of a passage or even details best highlighted with a picture or illustration. David said he hid the Word of God in his heart to avoid sin (Psalm 119:11). Scripture memorization is a foundational exercise on which many other forms of Scripture meditation are based. Some passages are just so wonderful they are best artistically displayed in some fashion. Such passages might be Bible promises to keep in front of us or reminders in our walk with God. Consider commissioning a calligrapher to artistically transcribe your favorite verse in a frameable drawing or painting. Or create a colorful depiction of it yourself in PowerPoint, print it on a color laser printer and have it framed. What would it do for your own Scripture focus if you were to give away one Bible verse to a different person each of the next 30 days? I encourage you to try. A friend who was studying with me at Wycliffe’s Summer Institute of Linguistics caught fire with God’s Word and could hardly contain himself. Brian would constantly hand write verses on 3 x 5 cards and leave them in our mail boxes. The personal touch brought these verses to life and I remember feeling like I had received numerous personal messages from God himself. And Brian himself grew deeper as he shared with so many of us. Sharing the Word with others engages us in it more deeply ourselves.